It has been estimated that there are several thousand Americans living in Bosnia and Herzegovina. Living in Bosnia and Herzegovina is an incredible experience for a number of reasons, including the friendly locals, the sense of adventure, and the incredible landscapes. As an American expatriate living in Bosnia and Herzegovina though, what exactly do you need to know regarding filing US expat (and Bosnian) taxes? 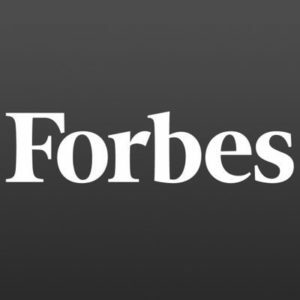 All US citizens and green card holders who earn a minimum of around $10,000 (or just $400 for self-employed individuals) anywhere in the world are required to file a US federal tax return and pay taxes to the IRS, regardless of where in the world they live or their income is generated. The good news is if you are paying income tax in Bosnia and Herzegovina, there are various exclusions and exemptions available to prevent you paying tax on the same income to the IRS too. If you earn over US$10,000 (or just $400 of self-employment income), wherever the income originates in the world you have to file IRS form 1040. While any US taxes due are still due by April 15th, expats get an automatic filing extension until June 15th, which can be extended further on request until October 15th. If you have overseas assets worth over US$200,000 per person, excluding your home if it is owned in your own name, you also have to file form 8938 to declare them. If you had a total of at least US$10,000 in one or more foreign bank and/or investment accounts at any time during the tax year, you also have to file FinCEN form 114, otherwise known as a Foreign Bank Account Report or FBAR. If you pay income tax in Bosnia and Herzegovina, there are several exemptions that allow you to pay less or no US income tax on the same income to the IRS. The main one is the Foreign Earned Income Exclusion, which lets you exclude the first around US$100,000 of foreign earned income from US tax if you can prove that you are a Bosnian resident, and the Foreign Tax Credit, which gives you a $1 tax credit for every dollar of tax you’ve paid in Bosnia and Herzegovina. These exemptions can be combined if necessary. Remember though that even if you don’t owe any tax to the IRS, if your income is over US$10,000 (or $400 if you’re self-employed) you still have to file a federal return. The US and Bosnian governments share taxpayer info, and Bosnian banks pass on US account holders’ account info to the IRS, so it’s not worth not filing or omitting anything on your return. 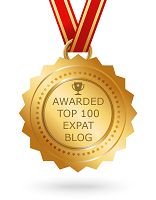 The penalties for incorrect or incomplete filing for expats are steep to say the least. If you’re a US citizen, green card holder, or US/Bosnian dual citizen, and you have been living in Bosnia and Herzegovina but you didn’t know you had to file a US tax return, don’t worry: there’s a program called the IRS Streamlined Procedure that allows you to catch up on your filing without paying any penalties. Don’t delay though, in case the IRS comes to you first. Bosnian residents are taxed on their worldwide income at a flat rate of 10%. Non-residents are taxed at the same rate but only on income sourced in Bosnia and Herzegovina. 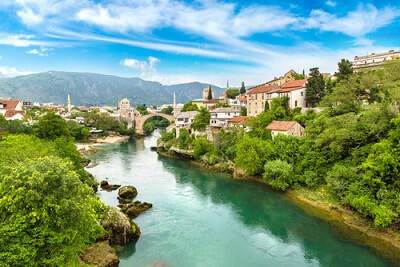 Foreigners living in Bosnia and Herzegovina are considered resident for tax purposes if they have a permanent residency visa, or if they spend over 183 days in Bosnia and Herzegovina in a tax year. The Bosnian tax year is the same as in the US, which is to say the calendar year. If your only source of income is from employment in Bosnia and Herzegovina, your income will be taxed at source and you won’t have to file a tax return. Otherwise, tax returns are due by March 31st. The Bosnian tax authority is called the Ministry of Finance and Treasury. We strongly recommend that if you have any doubts or questions about your tax situation as a US expat living in Bosnia and Herzegovina that you contact a US expat tax specialist.